Configura, a leader in technology solutions has developed CET Designer an all-in-one software solution for space planning and configuration of products. The intuitive workflow guides users through the entire process from idea to reality – supporting every step of the sales process. Their NeoCon 2018 introduction features CET Designer 9.0 and the related Fika, InstantAR and InstantAR Pro Extensions. 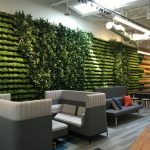 How will CET Designer 9.0 impact workplace design? CET Designer 9.0 now used by thousands of people around the world – is intelligent, highly visual and intuitive space-planning software that has changed how workplaces are designed and how furniture products are sold. The solution makes the design and specification process faster, more collaborative, interactive and immersive. CET Designer is Configura’s “core” Parametric Graphical Configuration (PGC)-based software platform. It’s PGC – a technology and business philosophy developed by Configura – that makes CET Designer smart. CET Designer Extensions are additions to the program. There are two types of Extensions: Product Extensions and Utility Extensions. A Product Extension incorporates all the rules, parts and pricing of a given manufacturer’s products. Many manufacturers have invested in CET Designer Product Extensions for their dealers to use when designing spaces. A Utility Extension is a functional improvement or an add-on that enhances the user experience and design process – in other words, providing added “utility” to the program, such as the ability to create virtual and augmented reality experiences. Together, CET Designer and Extensions offer a single software solution for space planning and product ordering. Components that represent manufacturers’ products look and behave like actual products. Users drag and drop components into 2D and 3D virtual environments; behind the scenes, the software tracks components, calculates pricing and prevents user errors. Users can create and generate layouts, quotes, photorealistic renderings, fly-thru videos, 360-degree panoramic movies, installation drawings, reconfigurations and bills of materials. The latest CET Designer Extensions let designers use virtual and augmented reality technologies to provide powerful visualization experiences for their clients. CET Designer was ahead of its time in terms of its visualization and collaborative capabilities. Today, interior designers and their customers expect tools like CET Designer that enable nearly instant and highly realistic visualization experiences. And, because of CET Designer, they’re working together to design spaces – making changes on the fly and decisions in minutes; live design is made simple with CET Designer. CET Designer’s Fika Extension lets new users and developers “get their feet wet” and experience the power of CET Designer before jumping into the full program. Using the Fika Extension – the name is a nod to the Swedish word fika, which means “to take a break and have coffee” – new users can learn the basic functions, navigation and usability of the program. New developers can see PGC and user-interface (UI) examples from which to borrow code and build upon to create their own CET Designer Extensions. The newest utility Extensions to CET Designer are InstantAR and InstantAR Pro, which are augmented reality (AR) tools created by Praxik, a Minneapolis-based Configura partner that creates mixed-reality solutions. These AR Extensions are a whole new way to design and sell, opening huge possibilities for manufacturers and for the dealers and designers who specify their products. InstantAR Pro builds on InstantAR Extension. One of the pro features is the “comparison effect,” which lets designers and their clients project a design and compare it to an existing physical design side by side on a phone or tablet. Another feature lets designers scale down large designs and preview them in a “dollhouse” mode. View a demo and experience the technology in person at NeoCon this June 11-13 in Configura’s booth #7-5129 at The Merchandise Mart in Chicago. Can you tell a story or give an example of how this product can be used in a project? CET Designer user Kaitlin Davis has been using the space-planning software just 10 months – but she’s quickly mastered the tool and earned two awards in the process. Last fall, she was the top winner in the Best Video category and runner-up in the Best 360 Panorama category in the annual CET Designer Awards competition. Ms. Davis works for Freedom Interiors in Kansas City where CET Designer is the go-to software used in all aspects of the specification process – including 2D and 3D drawings, 3D renderings, installation documents, virtual reality and fly-thru videos, and client presentations. Both of her award-winning entries stem from the renovation of a 7,000 square-foot building that is now the home of Freedom Interiors’ offices and additionally serves as a Kimball showroom. Fully immersed in the use of technology, Freedom Interiors offers clients a “Live Design” process that includes virtual reality, so clients can experience their space and make design changes in real time. Magnus Carlgren, one of Configura’s Senior R&D Developers, shared some insight behind how CET Designer was developed. The solution that would ultimately become CET Designer was inspired by the simplicity of MacPaint, a software product from the 1980s. One of Configura’s founders, Sune Rydqvist, had dealt with calculation problems throughout his career in the interior fittings and construction industries in Scandinavia. He tried using CAD-based products, but the software and related modules didn’t work well as calculation tools – they could only sum up the number of symbols placed in the drawing area. These tools also proved too costly and complicated for sales functions. And, they weren’t very visual. Rydqvist sought the technology counsel of his son, Göran Rydqvist, and friend, Johan Lyreborn, both of whom had graduated with Master of Science degrees in computer technology from the Linköping Institute of Technology. The two self-proclaimed “Swedish computer geeks” thought a software tool that offered a user experience more like MacPaint would be much easier to use. But it also needed to be fast and accurate. The two set about developing a C-based preprocessor language that became the “guts” of a new solution to simplify how configurable products are specified and sold. The result was the first Parametric Graphical Configuration (PGC) prototype: an intuitive program using point-and-click functionality to draw panel layouts while, in the background, the software calculated changes and ensured accuracy. Nearly 30 years later, CET Designer by Configura has become an incredibly comprehensive tool that handles all aspect of design, specification and ordering. But the solution remains rooted in its commitment to help people design spaces with ease. When will the product become available? It’s available now! Learn how to get your dealership started using CET Designer here. They’ll love CET Designer’s incredible visualization capabilities – photorealistic renderings, fly-thru and 360-degree panoramic videos, and the latest VR and AR technologies. CET Designer costs $1,000 per user per year until July 1, 2018, when the price increases to $1,075 (volume discounts are available); Extension costs vary depending on the Extension owner. Some Extensions are free. Are there any other notable product features to share? The original version of CET Designer was inspired by MacPaint, a very simple, user-friendly design tool from the late 1980s. Configura’s philosophy of keeping software fun and simple has never wavered. Also, every year, Configura hosts an annual CET Designer User & Developer Conference, which has become quite the “annual reunion” for attendees who return each year to learn the latest in CET Designer and network with colleagues and friends. For many in the Configura community, it’s an event filled with learning and fun that’s not to be missed! Where do you plan to exhibit the product? Come see us at NeoCon, Showroom/Booth: 7-5129. People can learn more about office design where Configura will demo CET Designer 9.0 as well as the augmented reality CET Designer Extensions by Praxik. At Configura’s booth, users also can “early bird” register for the 11th annual CET Designer User & Developer Conference plus enter a drawing for a free registration to the conference. Throughout the year we also exhibit at the Stockholm Furniture & Light Fair, Clerkenwell Design Week, LogiMAT, MODEX, CeMAT, the China International Furniture Fair and at our own CET Designer User & Developer Conference (which this year is Oct. 17-18 in Grand Rapids, Michigan).